TARTOUS, Syrian Arab Republic, 7 December 2016 – When a UNICEF team first met 14 year-old Wahid in the summer, he was fetching water for his family in “1070”, a complex of unfinished apartment buildings in the Al- Hamdaniyah neighbourhood of western Aleppo. 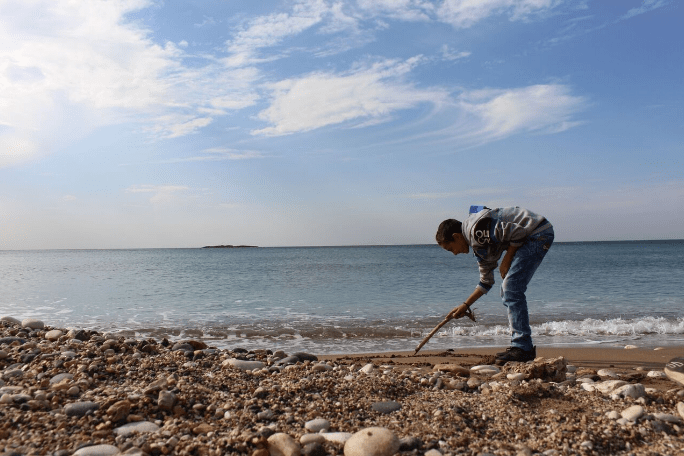 A month later, the area turned into a conflict zone, forcing him and his family to flee without their belongings for the seventh time since the conflict started in Syria nearly six years ago. “My husband was at work when we started hearing explosions getting closer and louder,” said Wahid’s mother, Fatima, recalling the day they left the 1070 complex. “Wahid was so composed the entire time. His brother and sisters were crying and clinging on to me but he kept a straight face and made sure all of us got out safely. I wanted him to cry and be the child he is,” she added. Wahid lost three years of education and was close to losing more as the need to make an income took priority over schooling. In mid-September 2016, a UNICEF team visited Wahid and his family as part of a follow-up activity with children recently uprooted from Aleppo. 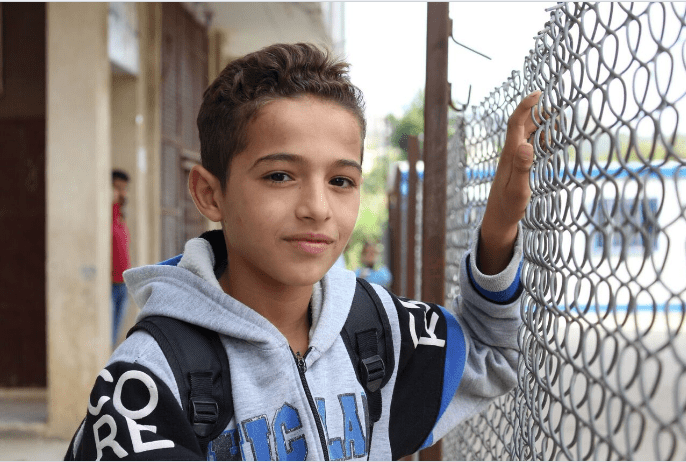 The team encouraged Wahid’s family to re-enroll him in school. UNICEF provided Wahid with an education bursary to help ease the family’s financial burden and allow him to catch up with his peers. Bursaries are one of UNICEF’s many education programmes that support children who are at risk of dropping out of school due to financial hardship. “I’m happy to be back at school,” says Wahid. “I want to be either a lawyer or an engineer, but definitely not a shoemaker” he smiles. Wahid enrolled in the same school in Bseireh with his siblings and is now in Grade 6 – at 14 he should be in Grade 9. ©UNICEF/ Syria 2016/ Khudr Al- Issa- Wahid lost three years of education after fleeing his home seven times in five years. He now attends a school for internally displaced children in the town of Bseireh in coastal Tartous. At 14, Wahid should be in Grade 9 but is now in Grade 6. ©UNICEF/ Syria 2016/ Khudr Al- Issa- Wahid studying at his new home in the town of Bseireh. Wahid is still undecided on becoming an engineer or a lawyer.